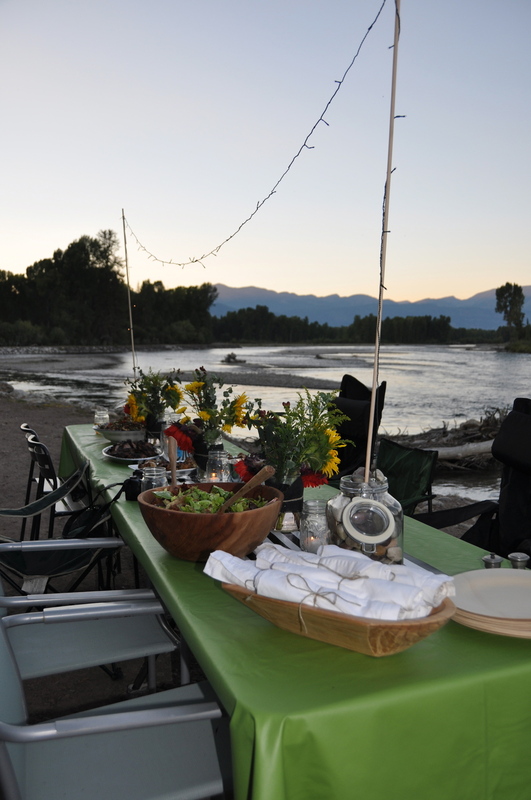 Hi y'all, it's me that girl katie, Earlier this month my husband and I hosted a "Dinner al Fresco" along the Snake River in our hometown of Jackson, Wy. I attended one last year and couldn't wait to host one myself. Lucky me, my husband enjoys to cook which allowed me the time to create plenty of small details and homemade ice cream in order for the night to really glow along side his awesome menu. 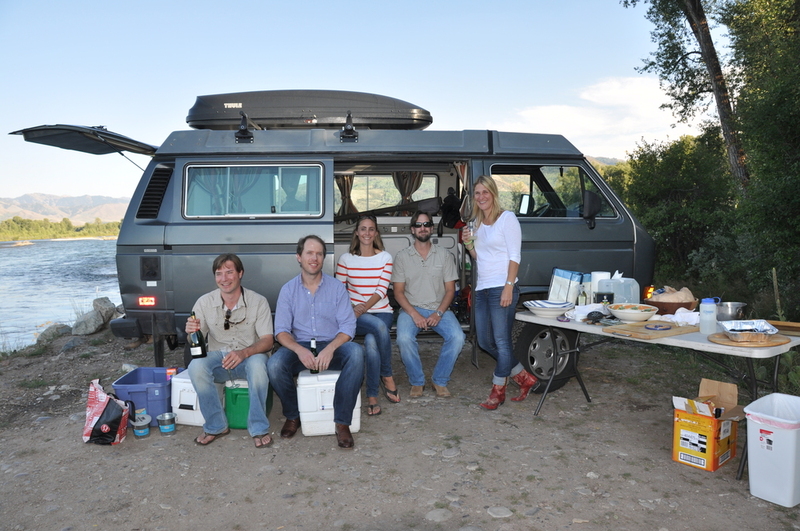 After all, there were a few celebrations that took place, a birthday, an anniversary and an anniversary eve. It was a perfect night to spend with great friends we have known for a long time. I hope this inspires you to do something similar in your hometown. - Bring large bins to throw everything in when its too dark to organize and deal with the next day at home - Consider hosting it with another couple.